I know it's been a while since I have posted here ... and much has happened in Hanover in the interim ... some good, some bad. But now there are two openings for the college's Board of Trustees that need to be filled with thinking and probing champions of the institution we all love so much. My classmate, Mort Kondracke, is running and, although I sometimes find his cable-TV knee jerks a little too left-leaning, I do believe that he would be open-minded and a contributor to many of the tough decisions that will need to be made while Dartmouth digs itself out of its current fiscal hole. 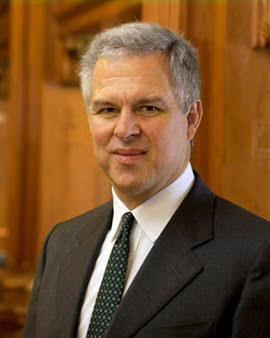 There is another candidate for Dartmouth's Board of Trustees that I am more enthusiastic about -- Joseph Asch. Joe has been a major contributor to that very popular Dartmouth blog, Dartblog. There he has mainly posted important and quality analyses about many of Dartmouth's financial problems (warming to President Kim's serious treatment of same), championed Dartmouth's many sports teams, pointed out some irksome misallocation of our school's pedagogical assets, and shared his taste for quality food and drink. He has not yet addressed the degeneration of many Dartmouth traditions that have occurred over the last 20 or so years ... but I'm working on him for that. His background well demonstrates his financial analytic talents, his love for his Alma Mater, and his liberal (small "l") worldview. To verify that he is eminently qualified for this position, please visit Joe for Dartmouth where you might also reference, download, sign, and submit a Petition for his Trustee candidacy. I hope you'll find him as attractive a candidate as I do.